Hello to all my wonderful readers, I hope you all had a stunning weekend. Instead of writing a whole post based on my weekend, I decided to dedicate this post to a clothing item. 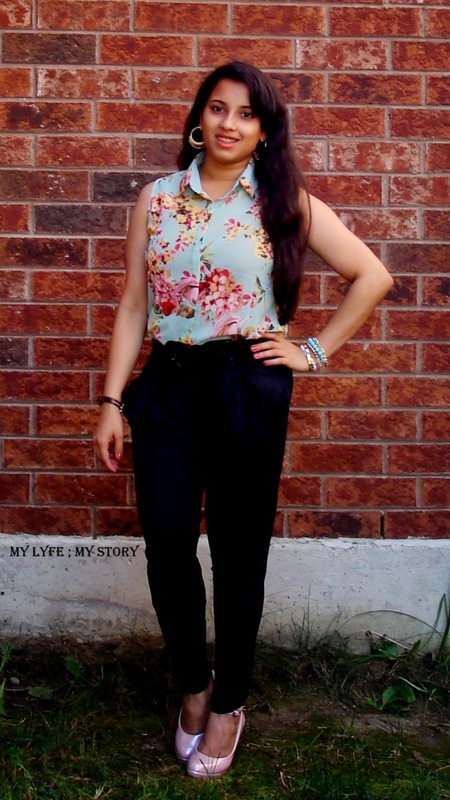 As promised in the here is another outfit post featuring my most hated trends ever harem pants. First of all, I am not a huge fan of harem pants I always thought it looked weird and unflattering. But recently, I wanted to try it out to see if I could ever pull of this trend and how I would style it. Since I believe that before we actually hate something we need a logical explanation to exactly why we dislike the item. Since I had no reason it hate it, I thought I should take a small fashion risk. So, when OASAP contacted me to team up with them, I decided to try out their new colourful harem pants collections. Instead of choosing a bright colour I opt for the classical black pair. I tried many different types of styling for this particular pair, however since the harem pants are designed to be big on top and tight on the bottom I found it difficult. So, I eventually decided to treat it like a high waist pants and added a belt to it. After many trials I finally came up with a simple and casual outfit combo, I ended up pairing the harem pants with a floral top. It's extremely simple and chic, plus I ended up going to the party rocking this look. I kept the accessories light by just wearing a set of random bracelets and hoop earrings. Then to pull the whole look together I wore my favourite pumps to add more elegance to the whole outfit. I really adore this look, that I came up with. Even after coming up with this look I still don't feel comfortable with harem pants, but I will still rock these pair soon. Hopefully, I will be able to find more ways to style harem pants. So, what do you guys think of harem pants and how would you style it? Well, hope you have a stunning week and I will be back with another post. Love you all and also Romwe is having another sale!! HA! I had an inexplicable aversion to jeggings (its the name I think) but once I bought a pair I LOVED THEM - so had to re think my position. I think you've done really well here with the harem pant selection - these look super flattering and I always love that top. You looks so cute in the harem pants!! Beautiful!! I love that blouse! This outfit is beyond pretty, love it. Hun, that floral printed top is awesome. I would totally wear it. what a lovely blouse you look great! wahhh i adore your blouse!! the floral colors are so pretty! You just made the right decision to do that risk because it suits you. Such a cute top, love the floral print. You look cute! love your top!! beautiful look,love the floral blouse! Nice Outfit! I like the blouse! I have a new Fashion-Post on my blog. you look lovely. The floral top is nice. Thanks for sharing your style perspective on the VMA's with me. Your top is amazing ! Oh my, this outfit is just adorable! The top is too pretty and I also love your hair! P.S. : Thanks for your lovely words on my last post! This is such a cute look! Really love how the flowery blouse look with the black pants ! Love the floral blouse, you look so pretty! The top is so feminine and cute. Lovely! Legal suas fotos, eu sigo seu blog, segue o meu? Follow my blog? I LOVE the floral print ! So girly ! Nice outfit , I really like your top ! 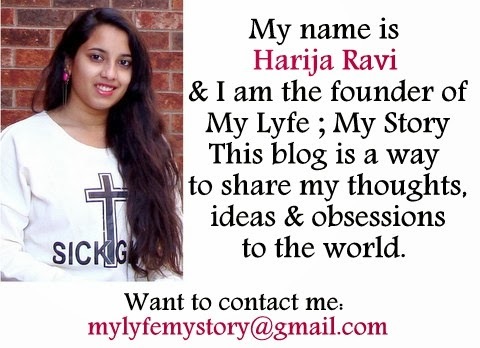 Waiting bk on my blog soon ! you look so elegant and beautiful! i like this blouse! Increíble combinación de blusa y zapatos, me fascinaron! Te muy elegante, preciosa post! Beautiful floral top :)! It's like a wallpaper ;P luv it! What a pretty top! Love it! You look amazing on the outfit.